Lower extremity interventions can help boys with Duchenne muscular dystrophy (DMD) stay ambulatory for years—and improve outcomes in the condition’s non-ambulatory phase. Devices can address con­tractures and other issues, while stretching programs are key to maintaining flexibility. 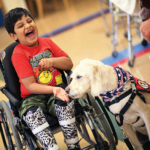 “Every provider’s expertise is directed at getting patients with DMD up and moving for as long as possible,” according to Kirk Ferris CPO, director of prosthetics and orthotics at Mary Free Bed Rehabilitation Hospital in Grand Rapids, MI. Diagnosis usually comes as children exhibit clumsiness and other motor signs of muscle weakness. Gowers’ sign—having to “walk” hands up the thighs to achieve an erect position—is due to weakness in the pelvic girdle and lower extremities and is a cardinal alert to the disorder. Orthotic intervention often begins when tightening muscles cause contractures and range-of-motion loss in the ankle, leading children to toe walk.6,7 Toe walking is a characteristic gait in this population, one that a recent study suggested is an adaptive, “voluntary” mechanism meant to increase stability, rather than pathology.8 Typically, a stretching program is initiated, with night splints and ankle foot orthoses (AFOs) prescribed to maintain gains from stretching. Ciafaloni and colleagues found that, on average, 2.5 years pass between the appearance of the first signs and symptoms of DMD and a DMD diagnosis based on muscle biopsy or a DNA test. The average age at diagnosis for DMD is 5 years.10 Because of this diagnostic delay, many children with DMD are initially misdiagnosed and may present to specialized clinics already walking in an orthosis. But daytime, functional AFOs for DMD are controversial, and most practitioners limit the devices to nighttime use. 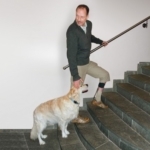 Townsend et al found daytime AFO use decreases ambulatory function and increases incidence of falls.11 That study has been criticized for using a dynamic, rather than an articulated, AFO and for not including kinematic assessments. One recent small study of kinematics and kinetic gait assessment found potential benefit for daytime AFO12 use by children with DMD. Lead author Ana Claudia Mattiello-Sverzut PT MSc PhD, said her group recommends daytime wear when less than 5° of dorsiflexion is present. The results indicate that daytime ambulation with an AFO minimized the biomechanical compensations typical of DMD. “In addition, our recent unpublished study showed daytime AFO use decreases the incidence of falls and is well accepted by patients with DMD if they choose to wear it,” said Mattiello-Sverzut, professor of pediatric neurology at the University of São Paulo, Brazil. Rubinstein noted the published study showed improvements in the 10-m walk test. “My experience, however, is this may not be the case after a full day in the device,” she said. The São Paulo group did call for further study into whether their result would hold up over time. “Daytime AFOs may be used as resting splints for ambulatory patients as a supplement for those who are not able to tolerate the AFOs the recommended six hours at night,” according to Jennifer Wallace PT, owner of Duchenne Therapy Network and education director for the non-profit CureDuchenne, both in Los Angeles, CA. Leslie Vogel PT, of Seattle Children’s Hospital in Washington, pointed out that older non-ambulatory patients are often allowed to choose when to wear devices. “They often choose daytime because by then it’s harder to reposition themselves in bed with an orthosis,” she said. Children with DMD often are on respiratory support at night, making repositioning more difficult. Design and construction of a KAFO, orthotists said, require great precision to avoid disrupting knee mechanics and affecting the activity of more proximal muscles. Weight gain, a frequent side effect of corticosteroid use, makes ambulation more difficult, and a nutritionist or dietitian is now included in multidisciplinary clinics. 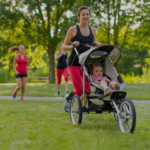 In a healthy child, weight gain would be countered with an exercise program. However, children with DMD must not overdo it, experts say, or they will suffer additional cell damage and muscle deterioration. 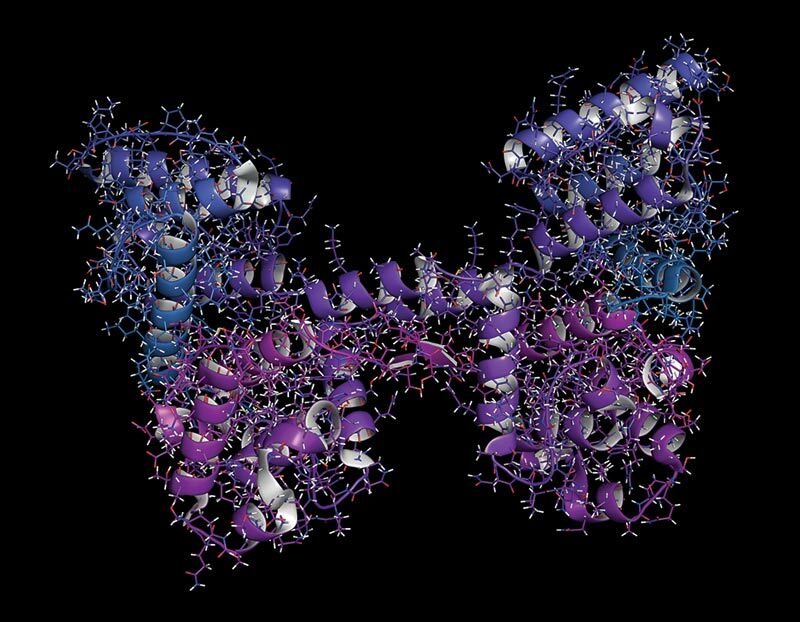 Molecular-based drugs enable production of the muscle protein dystrophin (represented above), which in DMD is blocked by gene mutations. Much attention now is on the advent of molecular-based medications targeted at the underlying genetic defect of Duchenne muscular dystrophy (DMD) as well as on steroidal and non-steroidal pharmaceuticals to control deterioration of the abnormal muscle. “There’s a lot going on that’s exciting,” according to Michael D. Sussman MD, a pediatric orthopedic surgeon in Oregon at Shrine Hospital for Children—Portland. “Until corticosteroid treatment became accepted practice nearly 20 years ago we had nothing to really change the course of the condition, and now we have the first approval of molecular-based pharmaceuticals specific to Duchenne,” he said. Smith said, “The therapist must monitor subjective signs of fatigue and continually reassess objective changes in function and symptoms during treatment sessions. 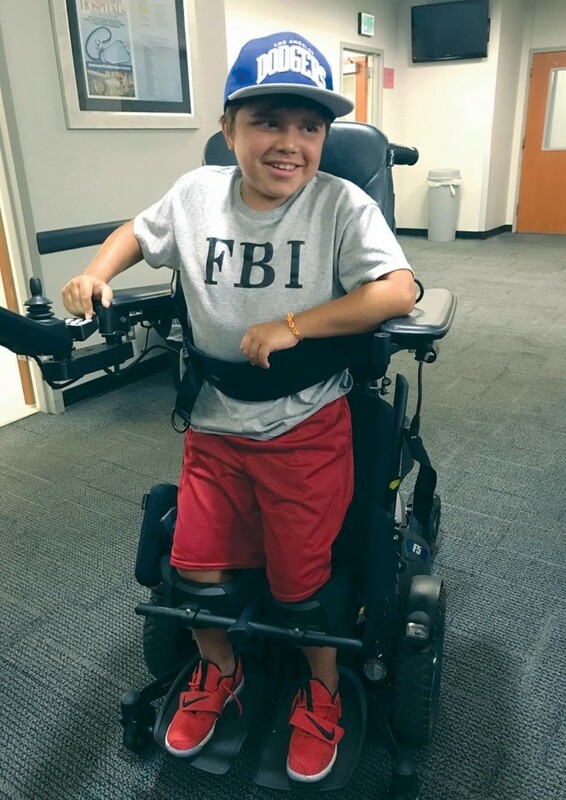 Eccentric or high-resistance exercises should be avoided.”13 She said Shriners-Tampa recently opened a multidisciplinary clinic for children with DMD and other neuromuscular disorders. 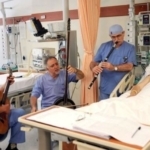 Such teams of professionals are becoming more common at major centers as subspecialties’ diagnostic and management options broaden. Wallace said even a daily routine can become too stressful for boys with DMD. “Energy conservation becomes really important, especially for those aged seven to twelve years,” she said. “We want them to walk when they’re safely able to, but to use an electric scooter for those times they need to conserve energy to not deteriorate too quickly.” Changes may include avoidance of hills, for example, or a school schedule with classes closer together. Stretching programs are essential for maintaining the flexibility of the hip flexors, iliotibial band, hamstrings, and plantar flexors. This allows boys to remain upright longer and to later be positioned comfortably in a wheelchair, Vogel said. Parents are vital to success of stretching, which should be performed six times a week, Wallace added. When the child is aged 2 to 4 years, parents should start stretching the heel cords and hamstrings, Vogel said. “As they get into school, a stretch for hip flexors and iliotibial bands are added, and some kids are able do their own stretches,” she said. Achilles lengthening may be employed in carefully selected patients—that is, the 10% to 15% whose ankles experience a contracture of approximately 30° and whose proximal muscles are still relatively strong, said Michael D. Sussman MD, pediatric orthopedic surgeon in Oregon at Shriners Hospital for Children–Portland. Children with DMD, he added, are prone to falls and fractures. “These must be treated very aggressively with good fixation,” Sussman said. Aquatic therapy and antigravity treadmills are heavily favored by physical therapists for children with DMD because they allow for more low- or no-impact exercise and are particularly useful for postsurgical rehabilitation, according to physical therapists interviewed for this article. 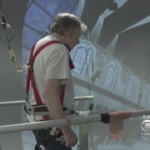 Overhead harness treadmills have fallen from favor, Wallace said, largely because the patient’s weight falls on harness straps that go through the groin area. One antigravity treadmill uses differential air pressure technology to provide lifting forces to reduce impact. As Wallace conducts DMD educational sessions for other physical therapists around the country, she has noticed many regional differences in management. “My expectation is that these differences will largely disappear as new outcome measures and treatments are validated through clinical trials and as awareness of the progress made in Duchenne is raised through journals, conferences, and standards of care,” she said. Dystrophin: the protein product of the Duchenne muscular dystrophy locus, Hoffman EP, Brown RH Jr, Kunkel LM. Cell. 1987 Dec 24;51(6):919-28. Relationships of thigh muscle contractile and noncontractile tissue with function, strength, and age in boys with Duchenne muscular dystrophy, Hiroshi Akima, Donovan Lott, Claudia Senesac, Jasjit Deol, Sean Germain, Ishu Arpan, Roxanna Bendixen, H Lee Sweeney, Glenn Walter, and Krista Vandenborne. Neuromuscul Disord. 2012 Jan; 22(1): 16–25. Early signs of gait deviation in Duchenne muscular dystrophy, Doglio L, Pavan E, Pernigotti I, Petralia P, Frigo C, Minetti C. Eur J Phys Rehabil Med. 2011 Dec;47(4):587-94. Epub 2011 Sep 13. Locomotor and posture strategies in patients with Duchenne muscular dystrophy (DMD). 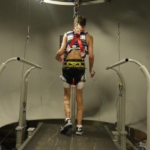 Part I: Gait analysis, Boccardi S, Gabardi C, Negrini A, Santambrogio GC. Eur Med Phys.1997;33:13-22. Muscle Activation during Gait in Children with Duchenne Muscular Dystrophy, Juliette Ropars, Mathieu Lempereur, Carole Vuillerot, Vincent Tiffreau, Sylviane Peudenier, Jean-Marie Cuisset, Yann Pereon, Fabien Leboeuf, Ludovic Delporte, Yannick Delpierre, Raphaël Gross, and Sylvain Brochard. PLoS One. 2016; 11(9): e0161938. Rehabilitative technology use among individuals with Duchenne/Becker muscular dystrophy, Pandya S, Andrews J, Campbell K, Meaney FJ. J Pediatr Rehabil Med. 2016;9(1):45-53. doi: 10.3233/PRM-160356. Delayed diagnosis in duchenne muscular dystrophy: data from the Muscular Dystrophy Surveillance, Tracking, and Research Network (MD STARnet), Ciafaloni E, Fox DJ, Pandya S, Westfield CP, Puzhankara S, Romitti PA, Mathews KD, Miller TM, Matthews DJ, Miller LA, Cunniff C, Druschel CM, Moxley RT. J Pediatr. 2009 Sep;155(3):380-5. doi: 10.1016/j.jpeds.2009.02.007. Epub 2009 Apr 25. Effects of AFO use on walking in boys with Duchenne muscular dystrophy: a pilot study, Townsend EL, Tamhane H, Gross KD. Pediatr Phys Ther. 2015 Spring;27(1):24-9. doi: 10.1097/PEP.0000000000000099. Beneficial effects of ankle-foot orthosis daytime use on the gait of Duchenne muscular dystrophy patients, de Souza MA, Figueiredo MM, de Baptista CR, Aldaves RD, Mattiello-Sverzut AC. Clin Biomech (Bristol, Avon). 2016 Jun;35:102-10. doi: 10.1016/j.clinbiomech.2016.04.005. Epub 2016 Apr 22. The muscular dystrophies: from genes to therapies, Lovering RM, Porter NC, Bloch RJ. Phys Ther. 2005 Dec;85(12):1372-88. Serial casting for the management of ankle contracture in Duchenne muscular dystrophy, Glanzman AM, Flickinger JM, Dholakia KH, Bönnemann CG, Finkel RS. Pediatr Phys Ther. 2011 Fall;23(3):275-9. doi: 10.1097/PEP.0b013e318227c4e3. Diagnosis and management of Duchenne muscular dystrophy, part 1: diagnosis, and neuromuscular, rehabilitation, endocrine, and gastrointestinal and nutritional management, Birnkrant DJ, Bushby K, Bann CM, Apkon SD, Blackwell A, Brumbaugh D5, Case LE, Clemens PR, Hadjiyannakis S, Pandya S, Street N, Tomezsko J, Wagner KR, Ward LM, Weber DR; DMD Care Considerations Working Group. Lancet Neurol. 2018 Mar;17(3):251-267. doi: 10.1016/S1474-4422(18)30024-3. Epub 2018 Feb 3. Corticosteroids for the treatment of Duchenne muscular dystrophy, Matthews E, Brassington R, Kuntzer T, Jichi F, Manzur AY. Cochrane Database Syst Rev. 2016 May 5;(5):CD003725. doi: 10.1002/14651858.CD003725.pub4. Online self-report data for Duchenne muscular dystrophy confirms natural history and can be used to assess for therapeutic benefits, Richard T. Wang, Cheri A. Silverstein Fadlon, J. Wes Ulm, Ivana Jankovic, Ascia Eskin, Ake Lu, Vanessa Rangel Miller, Rita M. Cantor, Ning Li, Robert Elashoff, Anne S. Martin, Holly L. Peay, Nancy Halnon, Stanley F. Nelson. PLoS Curr. 2014 Oct 17;6. Eteplirsen in the treatment of Duchenne muscular dystrophy, Lim KR, Maruyama R, Yokota T. Drug Des Devel Ther. 2017 Feb 28;11:533-545. doi: 10.2147/DDDT.S97635. eCollection 2017. Ataluren in patients with nonsense mutation Duchenne muscular dystrophy (ACT DMD): a multicentre, randomised, double-blind, placebo-controlled, phase 3 trial, McDonald CM, Campbell C, Torricelli RE, Finkel RS, Flanigan KM, Goemans N, Heydemann P, Kaminska A, Kirschner J, Muntoni F, Osorio AN, Schara U, Sejersen T, Shieh PB, Sweeney HL, Topaloglu H, Tulinius M, Vilchez JJ, Voit T, Wong B, Elfring G, Kroger H, Luo X, McIntosh J, Ong T, Riebling P, Souza M, Spiegel RJ, Peltz SW, Mercuri E; Clinical Evaluator Training Group; ACT DMD Study Group. Lancet. 2017 Sep 23;390(10101):1489-1498. doi: 10.1016/S0140-6736(17)31611-2. Epub 2017 Jul 17. 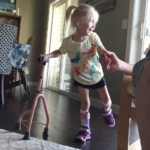 Robotic gait training for kids with CP: Is it really effective?